VEYU release new record Underbelly, Getintothis’ Peter Guy reflects on a band hitting their stride and chats to vocalist Chris Beesley about their second coming. There’s surely no game more fickle than that of the musical kind. If supporters bemoan the controversies, commercialism and farcical tragicomedies of Modern Football then spare a minute for musicians and their beautiful game. For while footballers appear under a microscopic spotlight 24/7 365 days a year they can turn villain to hero (and back again) with a mere stroke of their left boot. All is forgiven and the bond between fan and club is seemingly near unbreakable. Contrastingly, there’s little loyalty (let alone commercial reward) in the musical arena. The build ’em up, knock ’em down parade has been part and parcel of the industry long before the NME became a byword for the conveyor belt of hype. And in an era were an errant tweet can ruin a career, it’s becoming ever harder for those at the bottom of the music pyramid to climb their way to the top table. When this writer first stumbled across them it was via a listing on Wirral music festival Astral Coast‘s poster. A day later we listened to their debut track Running – and was astonished enough to pen a hyperbolic ode calling them ‘Merseyside’s best new guitar band‘. They were. The track was, and still is, a melodious masterclass in Grade A grooves. The following month a ramshackle collective of friends, work colleagues and drug-fueled malcontents made the trip to New Brighton’s Floral Hall for an afternoon which resembled a primary school outing crossed with All Tomorrow’s Parties complete with seaside mania – all that was missing was the gift-shop candy-cane rock, a head count for the coach home and Shellac. During a glorious afternoon down the Wirral peninsula we narrowly evaded a fight on the beach with an irate middle-aged man, consumed our body weight in Caffe Cream‘s desserts and watched VEYU live up to our proclamation as not only Merseyside’s best new guitar band – but Merseyside’s best new band. It was undeniable. When they took to the stage, the entire room was bouncing – and though they only played for 30 minutes in what resembled a school hall, everyone was talking about them – and the subsequent week Merseyside music social media was chattering about this new band with the unmistakable name. What followed saw Liverpool’s regional print and online press unite in affirmation for the quintet – these pages positioned them alongside Låpsley, Circa Waves and The Sugarmen as part of a glorious new breed of Merseyside acts destined for something special. Bido Lito! installed them as cover artists. Liverpool promotion titans cranked them high up various billings and only a North West debut performance by Glasgow trio Young Fathers would outrank them as the finest live performance at the first FestEVOL at The Kazimier. They closed 2013 third in Getintothis‘ singles of the year – just behind Pusha T and Chvrches. Hyperbole, indeed. 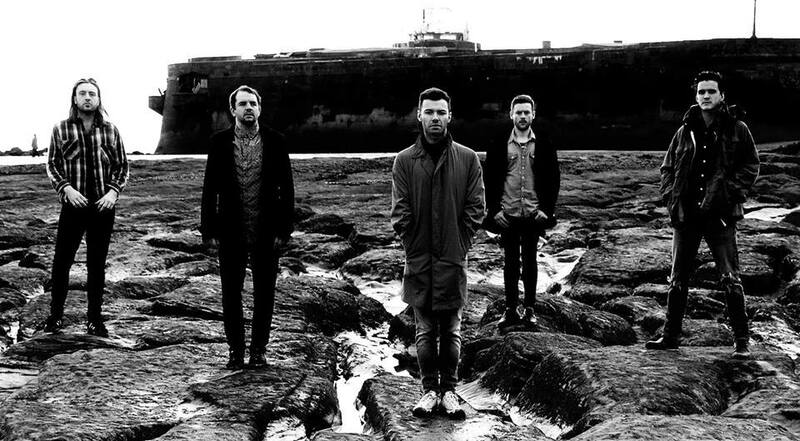 The following year saw no let up, and this time the national press came calling with The Guardian, Q Magazine and various online outlets flagging them up as ones to watch while on Merseyside they headlined an outside stage at Sound City and played alongside Money, Wave Pictures and Gruff Rhys. An inevitable nomination in the GIT Award 2014 followed with many suggesting they were rightful winners. However, in potentially the strongest shortlist yet they eventually lost out to Forest Swords. They saw out the year hosting a series of their own club nights in their adopted Warhol-esque art gallery The Fallout Factory and releasing an eponymous EP which dropped neatly into our top 20 records of 2014. Then, with everything seemingly in its right place – everything just stopped. 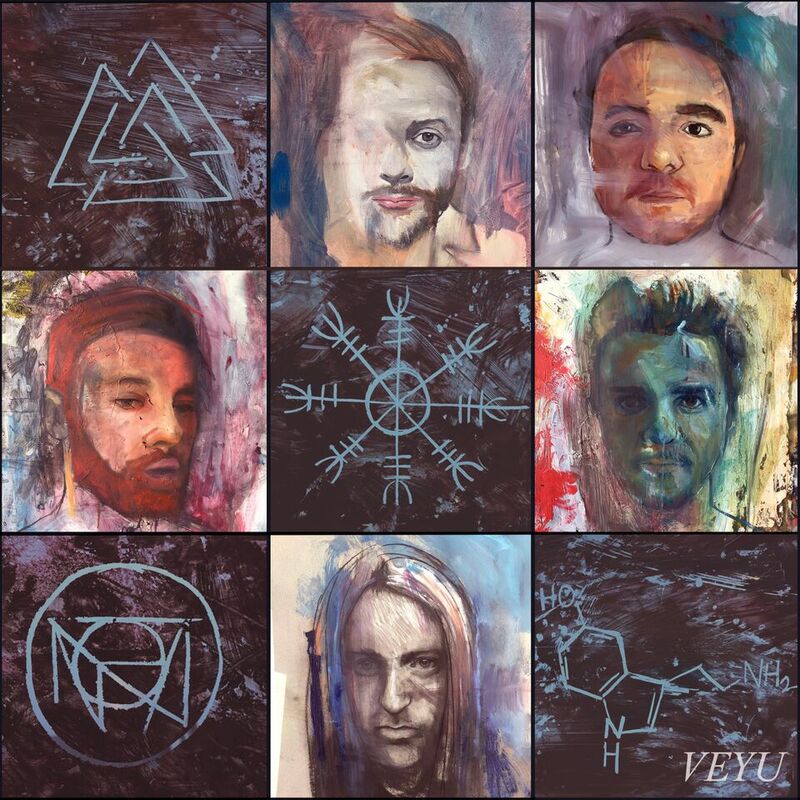 After signed to Baltic Records and a debut album supposedly in the offing, 2015 should have been VEYU‘s year. Having played alongside the likes of Stealing Sheep, Outfit and All We Are it seemed natural that they’d join this clutch of promising new bands and forge forward. Instead, there was near silence. A handful of live outings in London and the North West plus a demo (albeit the wondrous Everytime) left fans scratching their heads. The next 12 months saw the band regroup: they parted with their record label, played a series of self-promoted gigs akin to those at the Fallout Factory and begin to drip feed new tracks as they shaped up for starting afresh in 2017 – and the song titles themselves spoke volumes. Though dating back to their early live dates, Battlecry and Where Has The Fire In You Gone? were symbolic of a band stridently trying to find themselves once again and that’s exactly where they’re at in 2017. Ever the outcasts, almost belligerent in their singularity – they return not with an album, but Underbelly – almost acting as part two of that incredible self-titled debut EP. Clocking in at just shy of the 30 minute mark it’s a characteristic slab of melancholy fused with mighty riffs and a wrecking ball of percussive grooves. It’s unmistakably VEYU – and any long-time supporters of the band will revel in it. It will surely ensnare new fans too. It should. It must. The twinned centre-piece tracks work beautifully as contrasting sides to the same coin – Rabbithole is an abyss-like post-rock downer magnified with colossal builds and swells and cinematic coda while the radiating rhythmic chugs of Everytime showcases drummer Tom McCabe in understated yet metronomic mode as his band members unravel a twisting cyclical pop joy. They close with their angriest track to date – the live beast Battlecry – a call to arms, and a delicious slab of pounding noise. You can listen to an exclusive stream of Underbelly in full below, ahead of it’s release Getintothis caught up with vocalist and guitarist Chris Beesley. Getintothis: Hey Chris, what’s the inspiration, themes or message behind the new album? Chris Beesley: “I think you always wanna do something different from the your last thing when making music. We buffed the first record to a high sheen, we focused on getting the very best takes of each instrument. This time around we focused on feel over precision; it’s grittier, noisier, a more honest record in its conception, sentiment, and delivery. Getintothis: How have things changed from the first record? CB: “We write the music as a band now, the first EP is very much the sound of me and Adam [Bresnen], we hadn’t worked out each others strengths yet. “The tracks for this record came about from jamming. We take an idea as far as we can in the practice room and record everything on our phones, we’ll then go away and have a listen, usually someone has an idea of where it can go by the time we get together again. Getintothis: Why do you think things stalled around the time of the first one – and what approaches or lessons have you learnt? Getintothis: What are you favourite elements of the new record? CB: “It has defining elements from each of us, it would be a very different record if any one of us hadn’t have contributed. So I love the fact its got bits of us all in there. Now’s your chance – listen to VEYU‘s Underbelly below – it’s self-released Friday February 10 2017.